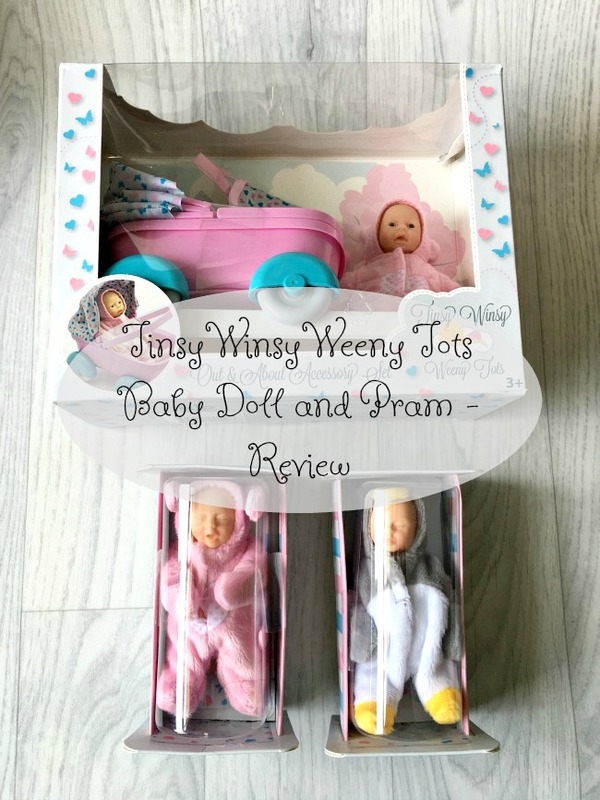 We were pleased to be asked to review Kid Creations Tinsy Winsy Weeny Tots baby dolls and Out & About accessory set. 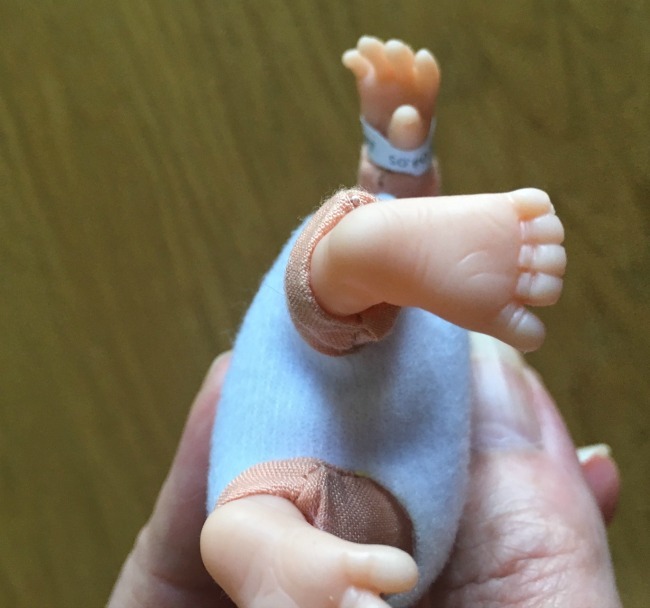 Tinsy Winsy Weeny Tots are miniature baby dolls which fit in the palm of your hand. 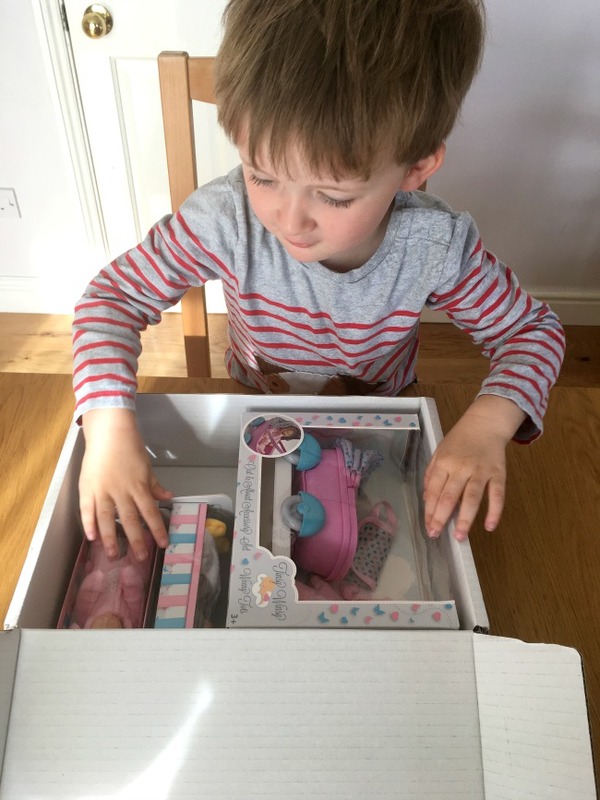 Each doll is dressed in a beautifully designed miniature outfit and comes packaged in it's own card cot bed. There are fifteen Tots and two accessories to collect, the Out & About Set and the Bed Time set. 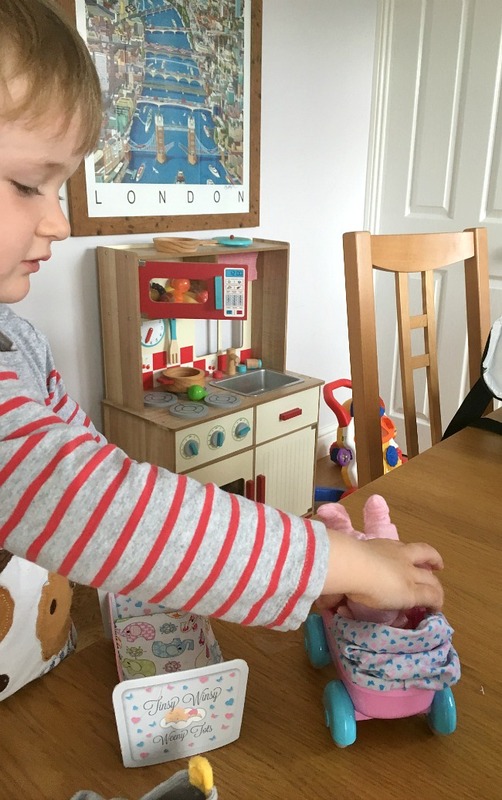 We were given two Tots and the Out & About Set to review. 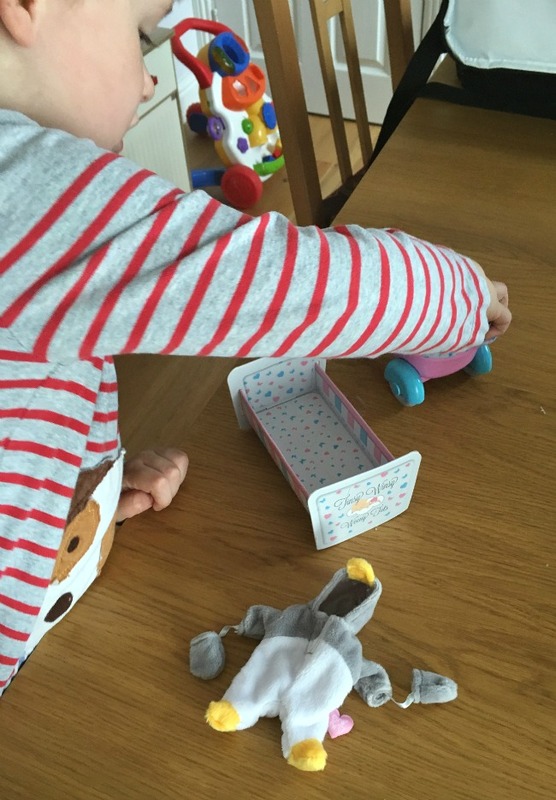 The Out & About set includes a baby in an all-in-one outfit, a pram, a changing bag, changing mat and fabric nappy. Bear has just had a baby brother, I thought it would be perfect but what would he think? 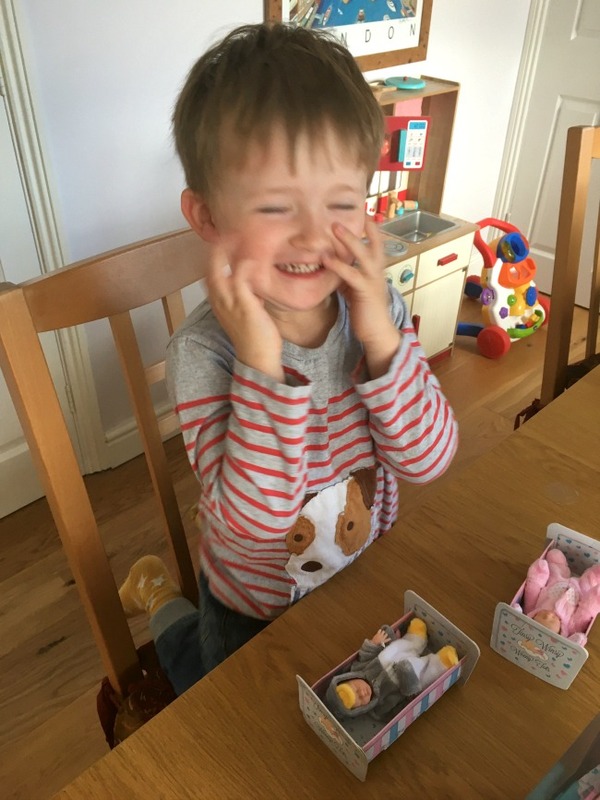 He loved them! 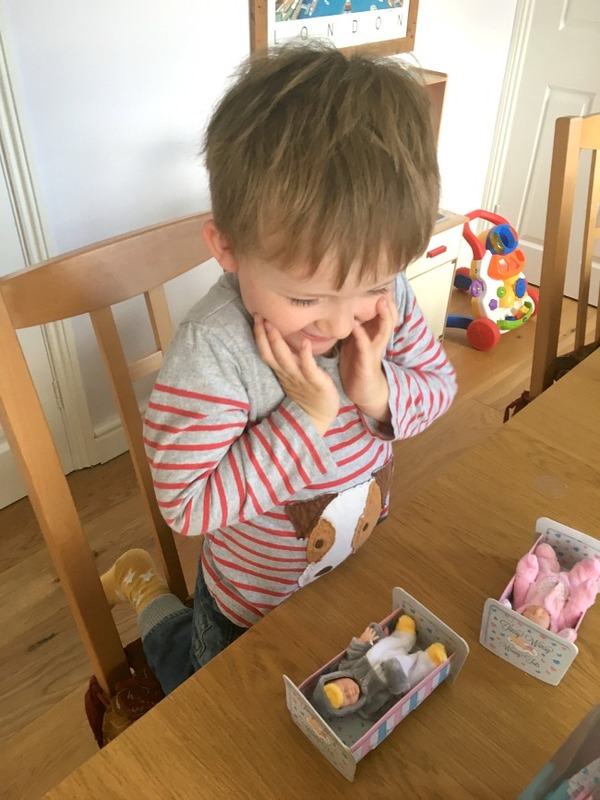 His face when he opened the box was sheer joy. He couldn't wait to open them up and was very impressed that the pram had wheels and a handle. We opened the packaging and cut the numerous plastic ties holding everything in place, and Bear started playing. I didn't direct I just let him use his imagination. He put them in their cots, and then in the pram. He doubled them up so there were two in the pram and he pushed it on the table. He chatted away and made up his own stories. He was quite concerned that the babies didn't have a blanket so I quickly cut two from a scrap of fabric. He then spent ages putting the babies to bed and covering them up. The cots are made of card, they will of course not last for ever but seem quite sturdy. 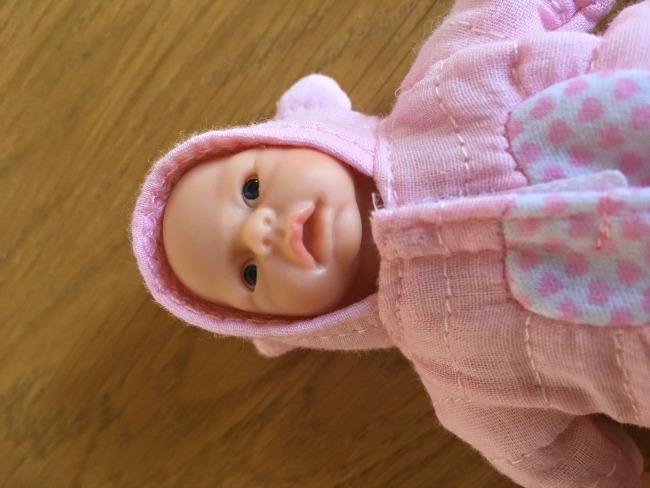 The pram is well made with a plastic body and a fabric hood. the wheels turn, the handle moves and the hood folds and unfolds. plenty of action for an active mind. Each Tot comes dressed in a all-in-one-suit. They are beautifully made and very, very soft. The babies have soft huggable bodies, they feel like soft bean bags so have a little weight. The dolls’ faces are incredibly detailed, and their expressions are so believable. They also have the cutest hands and feet. 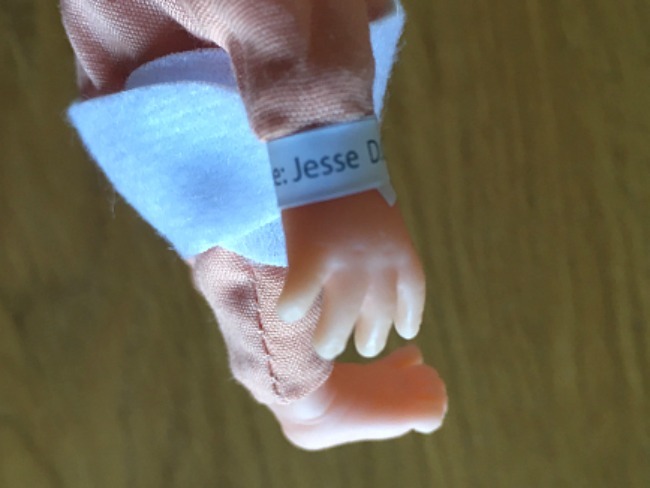 Each baby comes with a hospital wrist tag with an individual name and date of birth. I thought they were beautiful, the clothes are well made and the dolls are realistic. I loved that each one had a name, and a date of birth. 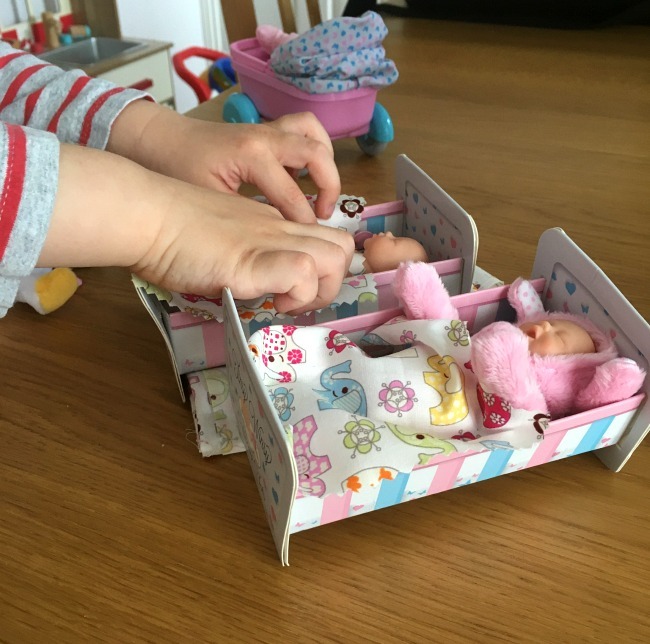 The cots are fantastic even though they are made of card and the pram feels sturdy and well made. 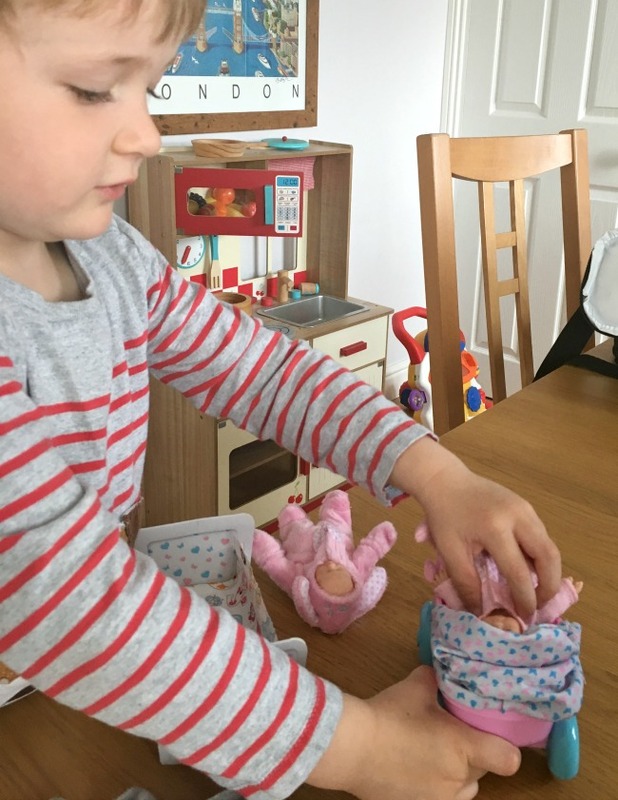 Included in the pram set is a change bag, a nappy, a change mat and a baby doll. It could be bought as a stand alone item. Bear thought it was fantastic too. 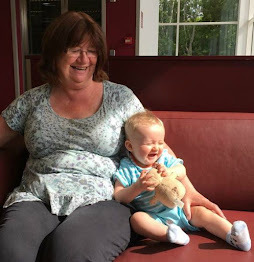 He loved the wheels on the pram, the nappy for the baby and putting them to bed. I know he loved the set as I found the pram parked amongst his favourite toys. 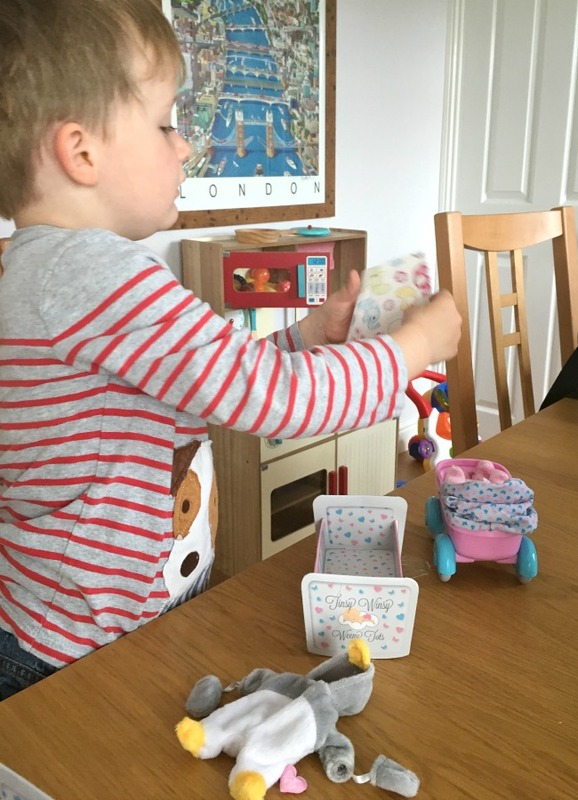 His emergency vehicles, the police car, the fire engine, the ambulance and then the pram. An honour indeed. 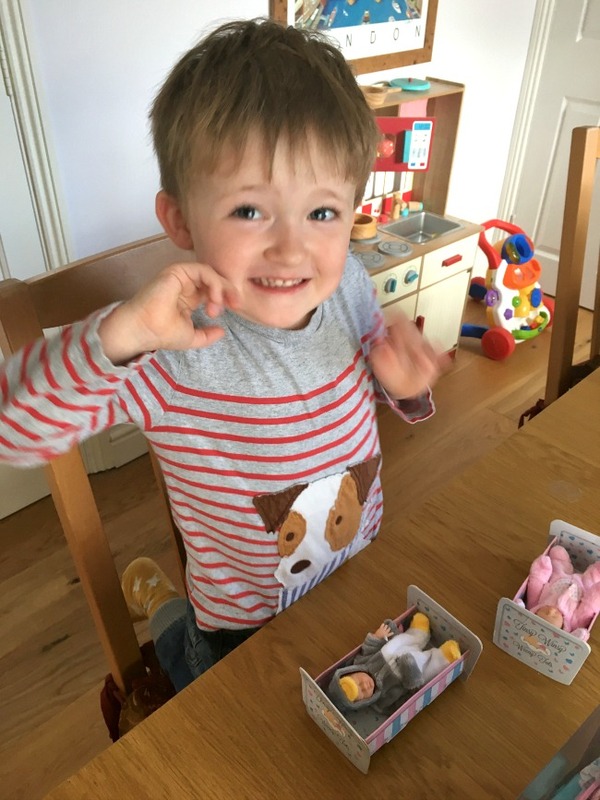 Tinsy Winsy Weeny Tots dolls are available from Smyths Toys and are suitable for ages 3 - 7 years. The first collection is limited edition. 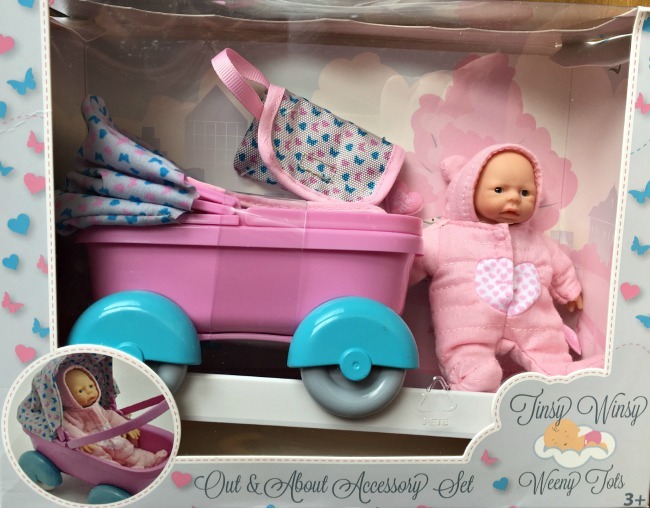 The individual dolls cost £7.99 each and the Pram Accessory Playset costs £14.99. Also available is the Bedtime Accessory Set (£14.99) which we didn't review. 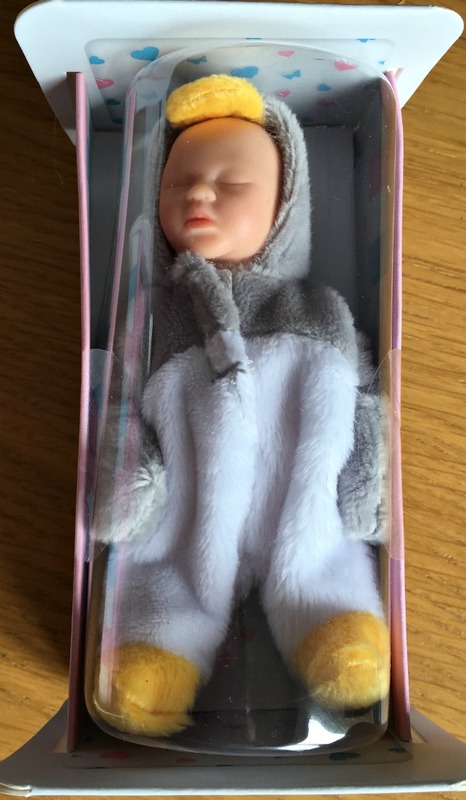 It comes with a plastic bed with real working drawers, fabric bedding, a hanging mobile and an adorable sleepy doll which is exclusive to the set. Oh my goodness that is so adorable! 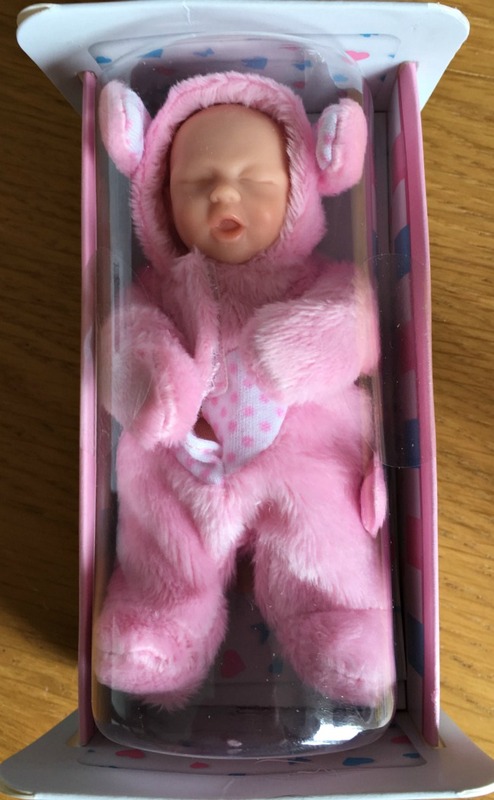 My daughter is mad about babies but the fact this is tiny would just be her idea of the perfect toy. Oh my, they sound like such good sets. I love that they are smaller than most sets so easy to put away while still being fun. Oh he looks over the moon. What delightful photos. Thank you for sharing them. He's so happy. these look lovely and really well priced too. These look really nice and how good to get one when you have just got a baby sibling!